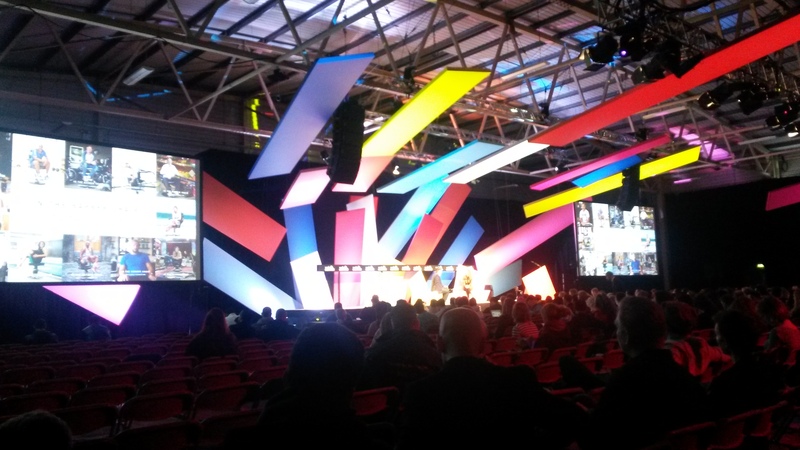 We made it to our second day at the Web Summit.There has been complaints about the WiFi this year although not to the extent that it was last year. However I haven’t had any issues with connecting to the WiFi. On saying that my Editor disagrees as she had problems connecting to the WiFi on the second day. Even though the WIFI connectivity within the venue has improved from last year it’s hard not to have any issues when you have 40,000 trying to use it at the same time. Day two was filled with a little more of that Summit buzz and a few extra hang overs, but hey we are in Dublin and the city has that affect on almost everyone. We started the day listening to talks about virtual reality. It really makes you think as the majority of my friends have never used VR and are shocked when I tell them how far the technology has come these last few years. When I tell them about VR they can’t help but imagine scenes from The Lawnmower Man, shudders. But anyone who has used Oculus VR will know that things really have changed. The first talk we attended on VR was by Jens Christensen from Jaunt VR. 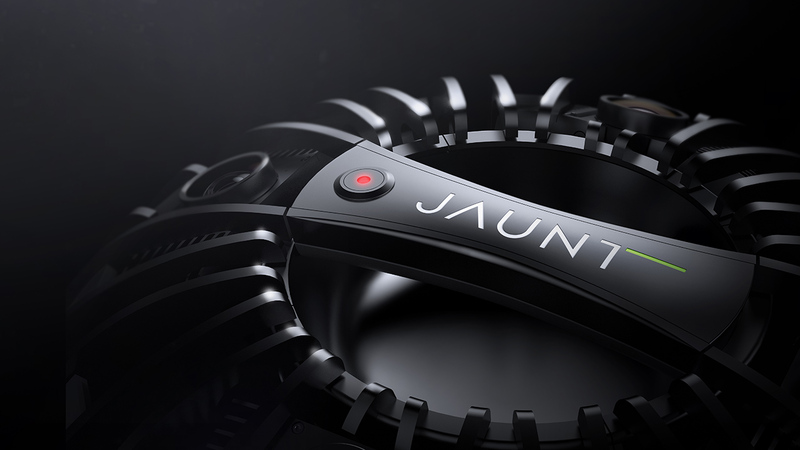 Jaunt VR technology provides an end-to-end solution for creating cinematic VR experiences. They have developed an integrated suite of hardware and software tools to produce the highest quality immersive content. The camera system simultaneously records 3D stereoscopic video in all directions. Coupled with their 3D sound-field microphones, it can capture everything needed to complete the visual and auditory experience. They are working and creating technology which captures 360 degree 3D VR experiences. It’s a very impressive piece of hardware and software too. His talk dealt with how VR was going to change media. For instance using it for the news, you could put one of their cameras in downtown Damascus and get a full 3D look at life in Syria which gives us a more accurate storytelling device. Using VR we could be embedded in the stories or even live sports events, you could be watching as though you where sitting at the ring side at championship fights to base-jumping with adrenaline junkies. VR is going to change things for everyone and it will happen a lot sooner than anyone really thinks. You can find out more about Jaunt VR from their official website by clicking here. We followed this up with AR and VR duelling realities with Michael Buckwald (Leap Motion), Nicolas DiCarlo (Samsung Electronics) and Blathnaid Healy (Mashable UK). To bring everyone up to speed AR is a technology that superimposes a computer-generated image on a user’s view of the real world, thus providing a composite view or otherwise known as Augmented Reality. It’s a fact that VR is light years ahead of AR. AR has the biggest technological hurdles but someday this will be bigger than VR. AR currently suffers from the user interface as it needs smaller headsets with longer battery life and has less of a social stigma. These issues will be sorted out down the line but Google Glass and others like it are misguided beginnings. According to Michael Buckwald (Leap Motion) glasses will eventually project content all over the world and making this indistinguishable from reality is the holy grail of AR technology. They say that AR is not consumer ready yet but in the next year we will see massive leaps as there is unprecedented amounts of money being spent on it, though it could be a decade before we see any actual worthwhile results. While VR on the other hand is on the cusp of becoming mainstream. Just this week New York Times gave away Google cardboard VR kits for your smartphone and they released a short VR film too. With our phones being the screen VR is jumping into our lives at an unprecedented rate. In the next 6 months we should start to see its normalization. Though it needs lighter headsets with less wires, but that will be ironed out with the second generation, if the speakers (Michael Buckwald, Nicolas DiCarlo and Blathnaid Healy) predictions are accurate. Though AR and VR are very different there will be some common middle ground and they will be the future of connecting people. After this we nipped out to get something to drink and work our way around the floors looking for the most interesting start-ups. We will post our interviews with them soon. I need to say a big surprise this year was the Builder’s Summit area as it was just so full of life with so much going on. Audible (an Amazon company) where there in full swing showing off some of their best products. You could listen to demo’s of some of their best books which is their opinion. However if it was up to me it would just be listening to Samuel L. Jackson doing his reading of Go The F**K to Sleep, yes this is an actual audio book which you can get here. We listened to these demo’s by Audible with Master & Dynamic headphones. If you have a few hundred dollars to spare you may want to grab a pair of these. With all this I was shocked to find more goodies on display, as I said earlier I am a massive fan of Audible and they recently gave away an all star reading of Locke and Key. To help tease this they had a VR version of part of the book. If you are at the Web Summit today (5th November) then go check it out at the Audible stand on and grab your free download copy of Locke and Key before its too late. Beside Audible you could check the German firm Zalando. Zalando is an e-commerce company originating from Berlin. The company has an online store that sells shoes, clothing and other fashion and lifestyle products. Now I am not the most fashion concious guy, far from the least, but they had an interesting Nerf based game, so if you want a free German soft drink, Umbrella or just a good old fashioned high five head there to see them. Just beside the entrance and exit to the Builder’s Summit you will also be treated to some fantastic talks by the people at Braintree. They have daily talks which focus on helping start-ups. Braintree, who are currently owned by Paypal, are a payment company that provides elegant tools for developers and white-glove support, at least that’s what they say on their website. Basically Braintree provides businesses with the ability to accept payments online or within their mobile application. It’s a full-stack payment platform that replaces the traditional model of sourcing a payment gateway and merchant account from different providers. Remember to check them out as their talks are informative and surprisingly short. And I think it would be worthwhile giving these guys a mention, they are this little firm called Audi, you may have heard of them as they have been around for just over 80 years… which is kind of a big deal. 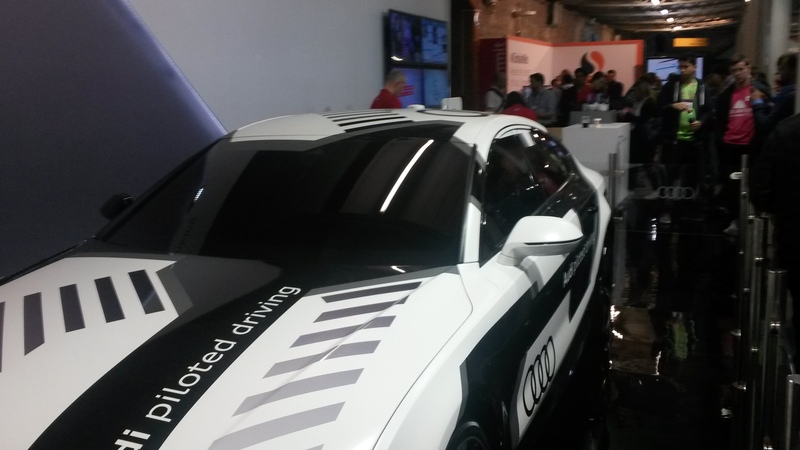 They where there showing off their piloted driving car and to help this not only did they have the car they had this neat little VR demo, it’s definitely worth the wait to get in line for. And between all that I got a chance to pop into the Marketing Summit and check out the Resist and Thrive talk, which was so enlightening and enganging. Any talk that manages to add Movember into its topic and still sound intelligent is totally worth the time. 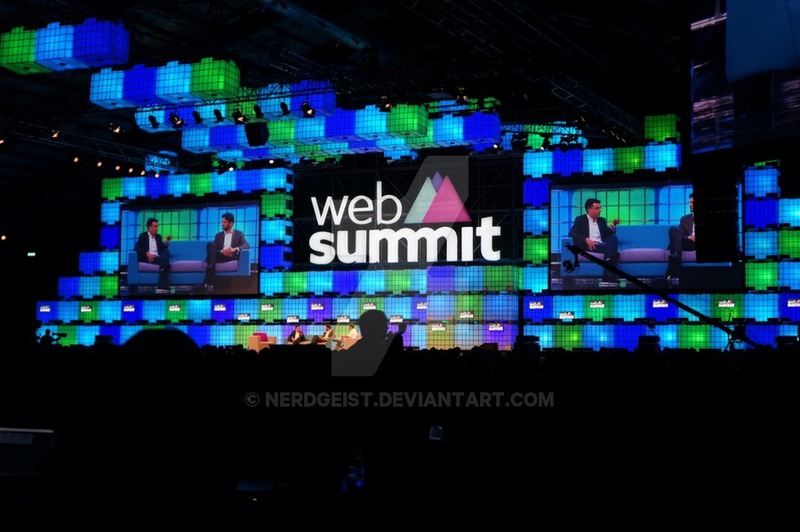 As second days go this was a pretty good one, there is still plenty to do and so much more happening today (the final 3rd day), I really cant wait, so Web Summit, bring it on !